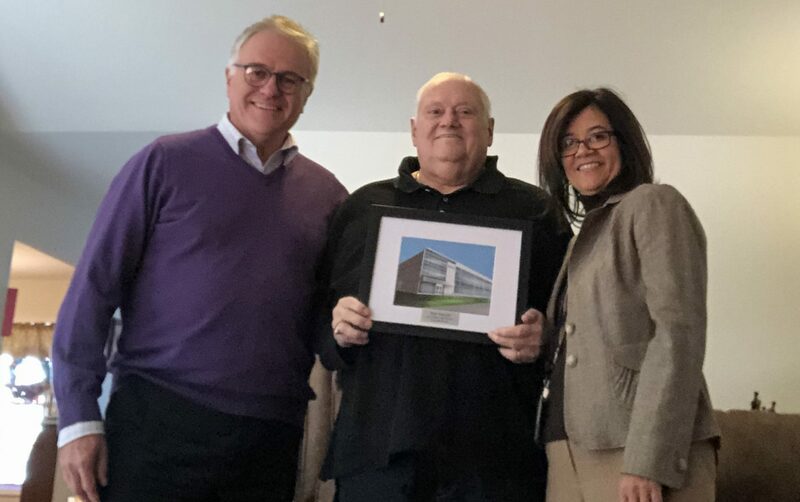 The Tech Valley High School Operating Board recently awarded Operating Board Member Paul Puccio the Tech Valley High School Founders Award. Paul has served on the TVHS Operating Board since its inception in 2006, as well as serving as its first president. He has also served on the Schodack CSD Board of Education for 35 years and the Questar III Board of Education for 20 years. His contributions to public education in our region have impacted thousands of students and will be felt for years to come. Puccio with Former Questar III District Superintendent James Baldwin and Current Questar III DS Dr. Gladys I. Cruz. “It was a humbling experience. It made me feel really grateful that people appreciate it. You make assumptions, and then, all of a sudden, you end up having somebody say thank you and you made a big difference, it wouldn’t have been the same without you. And you say to yourself I never thought of that before and it is kind of humbling,” said Puccio. Puccio says he’s most proud of being able to try new and different things and innovate academically, and to encourage that change and growth. “One of the things I’ve been fortunate to be able to do is to be around many people who were willing to think outside the box with you, and to explore new ideas and new concepts that were non-traditional but always had the potential to make a difference,” he said. “Paul has been an invaluable ally of Tech Valley High School since its inception. He has also been a tremendous force for educational progress around the Capital Region for decades. Paul is just a true public servant who has selflessly offered up his brilliant mind to make a difference in kids’ lives,” said Tech Valley High School Principal, Jim Niedermeier. “I cannot say enough positive things about Paul’s board service to not only Tech Valley High School, but also Questar III and his home district of Schodack. Paul’s expertise in the area of public education and his thoughtful consideration of what is best for all students is unmatched in our region, and our students are better prepared for the future because of his leadership,” said Questar III District Superintendent Dr. Gladys I. Cruz.